Jessie McBride. Photo by Paula Burch, courtesy Tulane University. 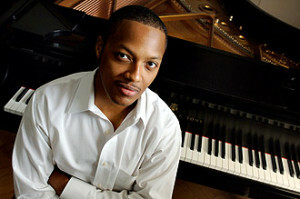 Jazz pianist Jesse McBride is the director of The Next Generation (begun by Harold Battiste), which features up-and-coming talent in the exploration of modern New Orleans jazz. Jesse is also director of jazz ensembles at Tulane University. In this episode of Confetti Park, Jesse shares a music memory from his childhood. He talks about how encouragement from his family, and resources through his aunt’s nonprofit, the Community Music Center of Houston, fostered his love for music and cultivated his natural talent. According to its website, the Community Music Center has roots dating back to the late 1970s, and it was an outgrowth of the black church. One of the wonderful programs of the Community Music Center is providing individual and group lessons & ensembles for children and adults!